By now, you're probably familiar with the minimalism trend. You know that it values the details, and creates comfort from essentials. You're aware that color may come in short supply, since neutrals play into its overall sense of calm. And you know, quite obviously, that clutter is off limits. But what are you not so clear on? 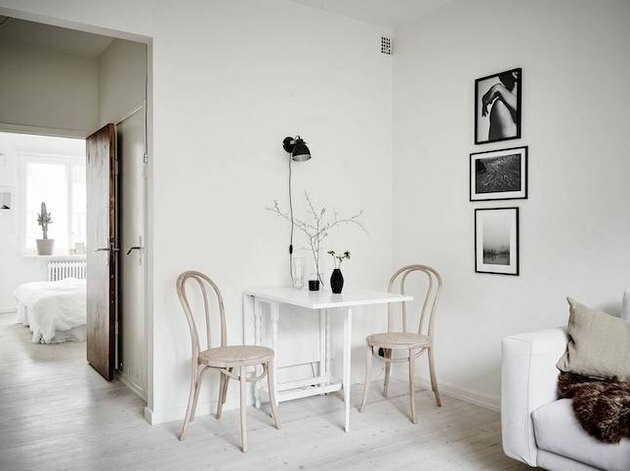 Well, just how to achieve a minimalist aesthetic in a small space. As it turns out, you can go sparse when you're short on square footage. All it takes is a little ingenuity, and these five tips. If you're living in a small apartment, chances are that your bed is the biggest piece of furniture you own. Don't let it take up so much space without putting in extra work! 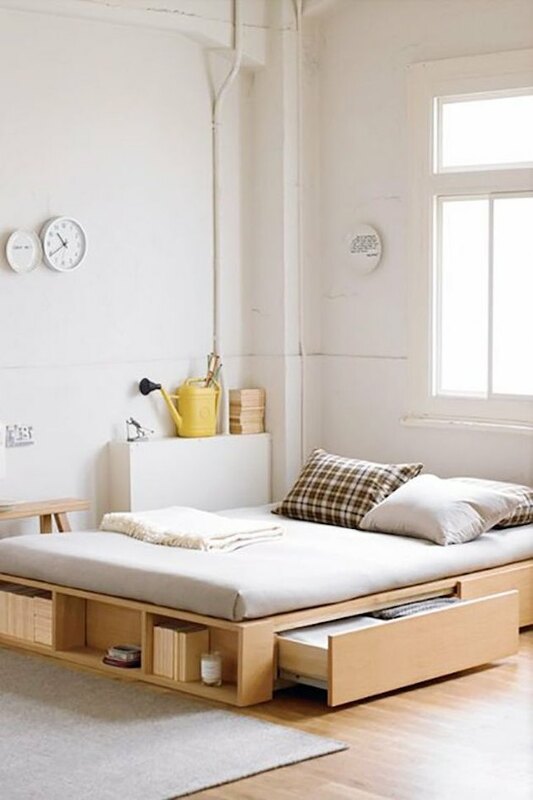 Opt for a bed that has extra room for storage, and place extra linens and clothes inside. The transparent and reflective qualities of mirrors and glass give the illusion of more space. 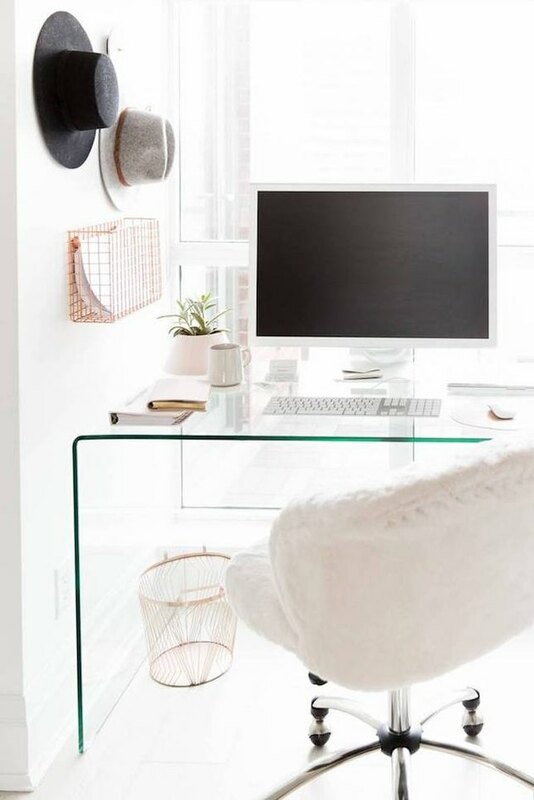 See if you have any furniture in your place that can be swapped out for a more visually minimal piece, like a glass desk. If that's too big of a commitment, opt for a decorative mirror that you can hang as a statement piece. Combining form and function is key when it comes to maximizing your space. 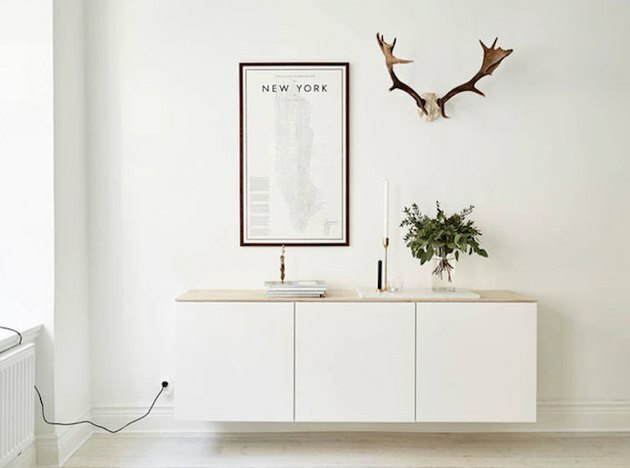 Installing a storage cabinet that can double as an extra surface — like a buffet table or bookshelf — is a minimal design game changer. A small space doesn't need to dictate your guest list. Instead of thinking that you can only host a dinner party for one or two, buy a drop-leaf table that can extend for more company. It can also work as a makeshift bar if you decide to host a group for the night. Floating shelves can work as a decor item and a storage piece. 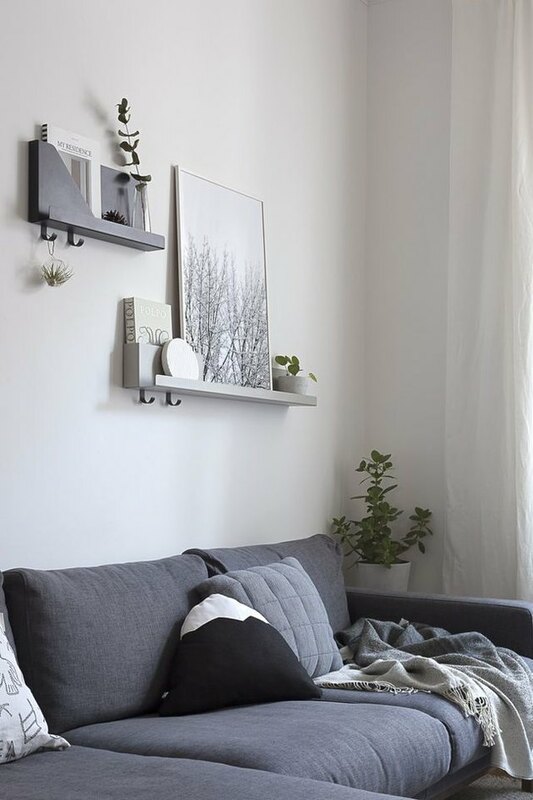 Hang a few above your couch for photos and accessories, put up some in your kitchen for cookbooks and extra bowls, and save a few for your bathroom toiletries. It's the ultimate flexible furnishing.